officials said those teams will extend that training to staff at schools in neighboring municipalities. 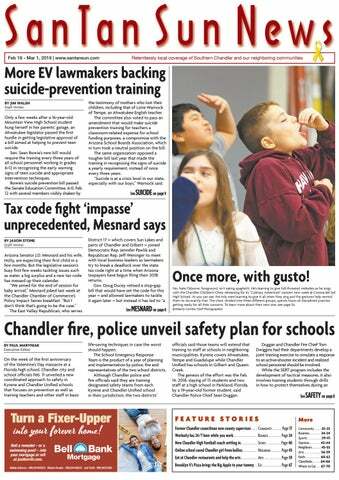 Kyrene covers Ahwatukee, Tempe and Guadalupe while Chandler Unified has schools in Gilbert and Queen Creek. The genesis of the effort was the Feb. 14, 2018, slaying of 15 students and two staff at a high school in Parkland, Florida, by a 19-year-old former student, said Chandler Police Chief Sean Duggan.